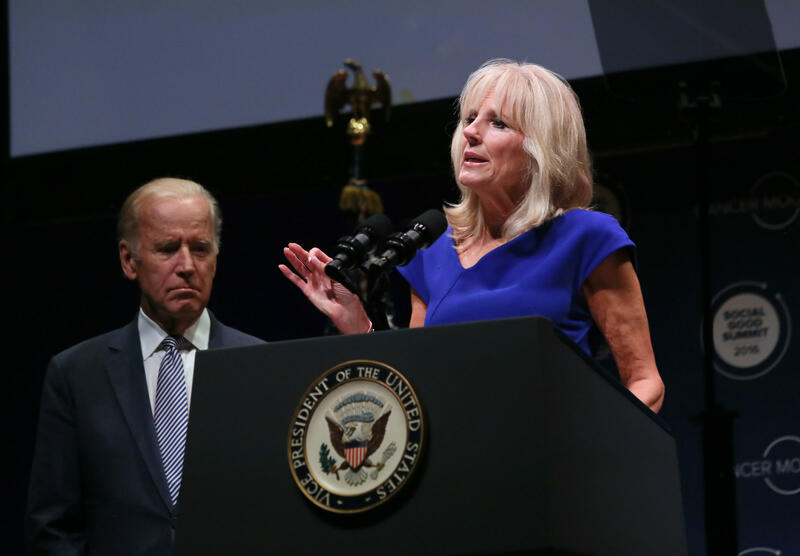 Dr. Jill Biden speaks about Cancer Moonshot, an initiative to advance scientific research for cancer, at The Social Good Summit at the 92nd Street Y in New York, Monday, Sept. 19, 2016. When faced with challenges, Biden said she focuses on what inspires her to keep going: her students. Biden has been an educator for more than three decades, and said teaching is more than just a job for her--it’s a calling. Though Biden did not ask for her role as Second Lady, she vowed to use her position to drive progress. Biden urged audience members to do the same. She told them to find what grabs their hearts and to become agents of change.